Desirable 4 bed/3 bath brick ranch in walking/biking distance to Belmar, restaurants, parks and schools. This meticulously cared for home has been updated and renovated. 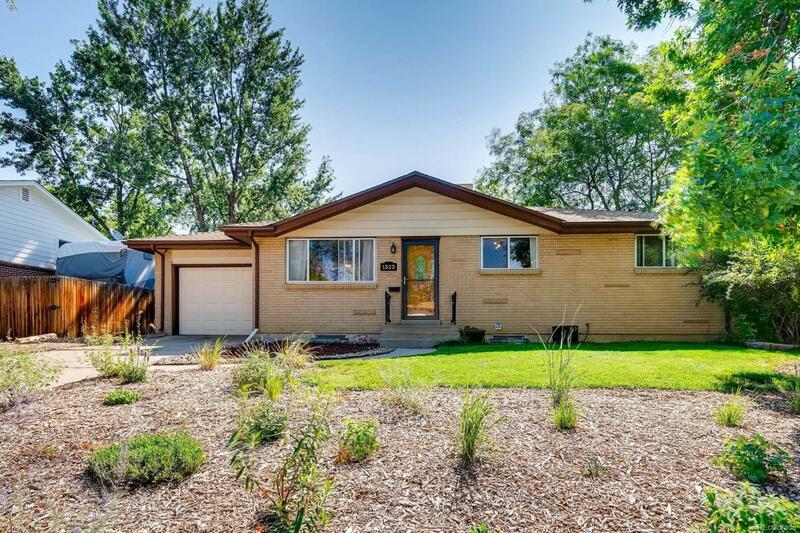 You will appreciate the hardwood floors, functional space, recently updated kitchen with fresh paint and newer stainless steel appliances; Mountain view from the front window. This home has 3 main floor bedrooms and 2 bathrooms plus a newly renovated basement! Great for entertaining and hanging out. Conforming basement bedroom with natural light and earth tone slate shower! Before you make your offer, don't forget to to check out the landscaped backyard and garden, a private oasis with mature trees and shade. Ask your broker, a full inspection report is also available! Nothing to worry about!